In China, trains are categorized by using different initials. They are G,C,D,Z,T,K,Y,L. Most train numbers are composed of English initial and Arabic numerals. G stands for high-speed trains, C stands for inter-city high-speed trains, D stands for Multiple units trains, Z stand for direct express trains, T stand for express trains, K stands for fast trains, Y stands for tourist trains, L stands for temporary trains. If the train number is just four digits with no English initials, it means the trains are normal trains. The fare of the train tickets varies according to the distance and seat class. 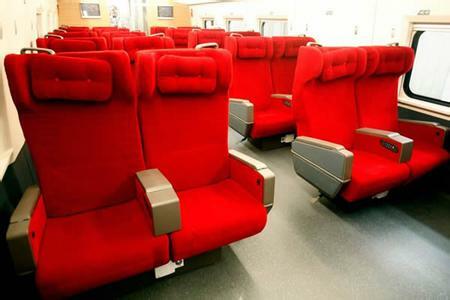 The following are the classes of seat and sleeper of china trains. The business seats are only available on G trains and some D trains. They are the best seats on the train. Passengers could take a nap on the seat. The seats are usually behind the operation cab. Passengers may get a better view of the scenery on the way. 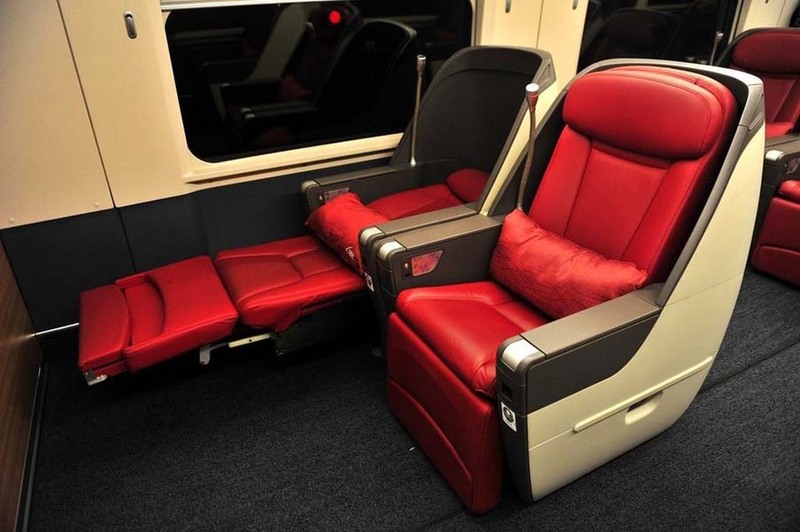 Deluxe seats,sometimes called VIP seat or super seat, are only available on a few high-speed trains. The seats of the deluxe seats are pretty much like the first class seats, but have better views. First class seats are usually four seats in a row. 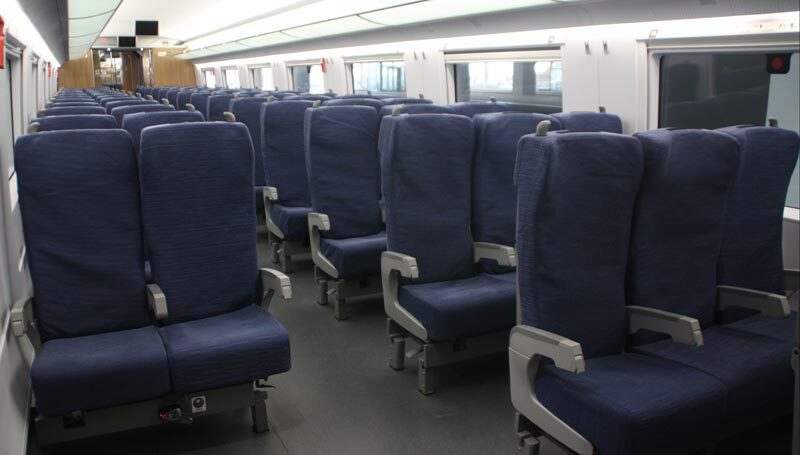 The seats are bigger and more comfortable than the second class seats. 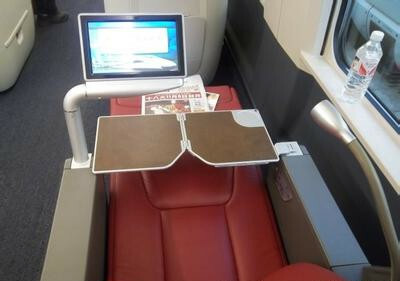 There is a small table at the back of each seat, just like which in a plane. The fare of the ticket is higher than the second class. Usually there are five seats in a row and these seats are very comfortable. There is a small table at the back of each seat, just like which in a plane. Second class seat is the lowest class in the high-speed trains but with a preferable ticket fare. 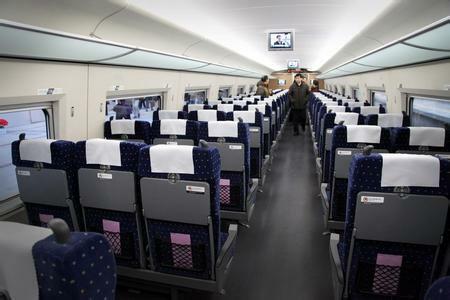 Most people would like to choose second class seats. Usually there are two berths, one sofa, a toilet in one compartment, only available on a few trains. There are doors for each compartment that can be locked.The bed items offered including a pillow, a sheet and a quilt. As the best class in the train, the ticket fare is higher than others. I am coming for the Yangtze Cruise on earlier June for 4 days 3 night Chongqing –Yihang cruise prefer budget ship can you recommend how to take the cruise and later leave for Shenzhen what are the comfortable transport by train or plane from Yihang to Shenzhen or Guangzhou city. How much the Yangtze cruise prefer three star enough. Hi, I want to travel from Kunming to Dalian, can you advice what is the train map to get to Dalian. Please advice. Hola: voy a ir a Hong kong para fin de año llegaría el 31 de Diciembre de 2017 y el 02 de Enero 2018 viajo a Beijing, somos 3 adultos, pienso quedarme 4 noches y me gustaría conocer Xian, para ver las esculturas de terracota, quisiera que me asesoren para realizar éste viaje. In Shanghai on the Metro trains: – Can you buy a one day ticket which allows you to travel on all Metro lines? And is there a multi-day ticket, say for 2 or 3 days of travel on Metro lines in Shanghai? There are metro tickets for 24 hours and 72 hours. The tickets can be bought at the metro station. We want to take the fast overnight sleeper train from Kowloon to Shanghai in August 2017, returning the same month. Are round-trip tickets cheaper? On what days does this train run in each direction? Can we get a Deluxe Soft Sleeper compartment for TWO? Thanks for your response! We want to get the tickets quickly. Sorry we don’t offer tickets booking service concerning Kowloon. You should probably buy the ticket at the train station. Wo Jiao Nathan, i am from India. In 2015 i visited China (Wuhan City) only as official Trip. i stayed there for 3 weeks, i enjoyed. Now i am looking for a tour to visit Beijing , Guilin and Shanghai cities, i am travelling alone from India, once i reach Beijing my Chinese friend will join with me. i am looking for a Budget and cheap package. You don’t have to get off the train at the border. You will go through the immigration and customs first, then you get on the train to the mainland or HK.